Uppersia Iran Travel blog: Explore Iran on your bike! 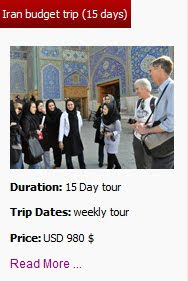 Explore Iran on your bike! Biking on the roads and passing through unknown cities and villages is one of the most adventurous activities you can do in a new destination. Iran is a good destination for a biking tour because of the safety provided for the tourists and the variety of biking routes. Shahroud to Gorgan: Shahroud is located in Semnan province with an almost dry climate. This mountain biking trip starts from a gravel road in “Abr” village. The road goes on the heights and you will be led through a stunning forest named “Abr” (Clouds Forest). Then you will slope toward “Ali Abad” town and the route ends in Gorgan after 150 kilometers biking. Astara to Gorgan: This long route starts in Astara, a coastal city in North West and gets continued on roads toward the North East. North of Iran is a beautiful area between the Caspian Sea and the Alborz mountain range, covered in forests. Biking in the north of Iran is all about passing through dense forests, biking on the Caspian Sea shores and staying in cozy rural homes. This way ends in Gorgan and it is about 750 kilometers but you can finish your biking tour anytime you liked. 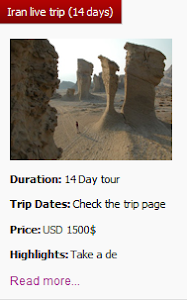 Around Qeshm Island: Being a popular destination during winter, Qeshm is a touristic Island in the south of Iran with a warm and humid weather. On the biking route around Qeshm, the vast blue sea is by your side all along the way and you will enjoy the scenic beaches and the nice weather. The path around Qeshm is about 270 kilometers and you will see different attractions like ancient castles, Dareye Setaregan (the stars valley), the Salt Cave, Hara forests and etc. West of Iran: This long biking route is through mountainous roads of western Iran in the heart of Zagros range. Biking on the downhill and uphill with steep slopes, meeting hospitable Kurd people, enjoying the wild nature of western Iran and the villages located in the heart of mountains are highlights of this exciting biking route. 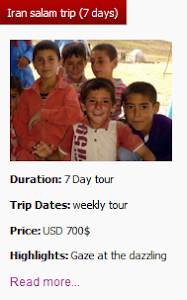 This route ends in smooth plains of Khuzestan province known as the land of rivers and ancient civilizations. 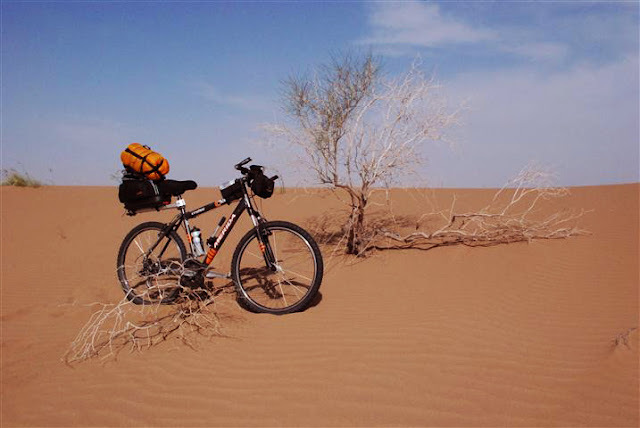 Maranjab Desert: Maranjab is a wonderful desert in central Iran, chosen by many for desert biking. You can start biking from Isfahan or Kashan or right at Maranjab. While biking in this vast desert you will be amazed by stunning attractions like the Salt Lake, the Safavid caravanserai, golden sand dunes and deep blue sky. These were just some of biking routes in Iran. 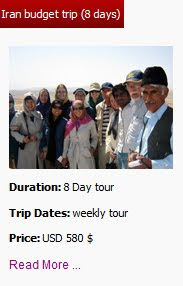 Uppersia travel can help you in arranging and operating your biking tour or any kind of sport tour in different corners of Iran, during all seasons. The historical treasure of Siraf. Puppet and Toy Museum of Iran. The mystries behind Chak Chak inc Yazd. How is the train trip between Tehran and Isfahan? Ramsar, the heaven on the earth! How is the lifestyle of the Bakhtiari nomads? Dashtestan, a good winter destination in Bushehr. The red pomegranates of Arsanjan. Taft, the city of gardens and ancient rituals. Garmeh village, in the heart of Iran. Along the Silk Road in Iran. How much currency can you take to Iran? How is the train service in Iran? What to eat in south of Iran? Golestan National Park in Iran. Uppersia tour offers for Christmas 2017. The magical route to the Naz Island. Flight services between Iran and Ausrtalia. The scenic village of Palangan. The story of the first flight over Iran.